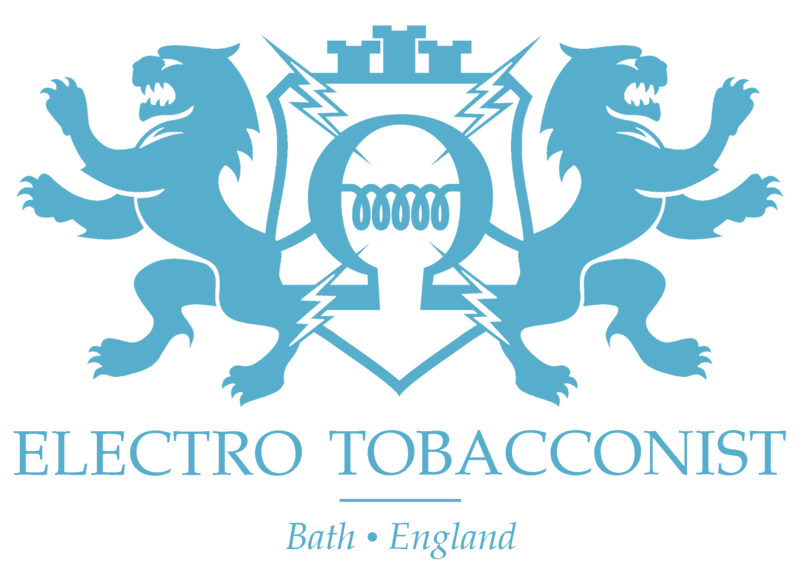 Electro Tobacconist is committed to ensuring that your privacy is protected. Should we ask you to provide certain information by which you can be identified when using this website, then you can be assured that it will only be used in accordance with this privacy statement. Electro Tobacconist may change this policy from time to time by updating this page. You should check this page from time to time to ensure that you are happy with any changes. This policy is effective from 01/05/2018. • From time to time, we may also use your information to contact you for market research purposes. We may contact you by email, phone, fax or mail. We may use the information to customize the website according to your interests. How to Understand the EU TPD, or How To Herd Cats. . . . . . . .
Based in Bath, the UK, we supply the best quality vapes, e-cigarettes and e-pipes as well as a wide range of rebuildable parts and accessories. We also produce high quality eliquids all with secure checkout through Paypal and fast delivery.